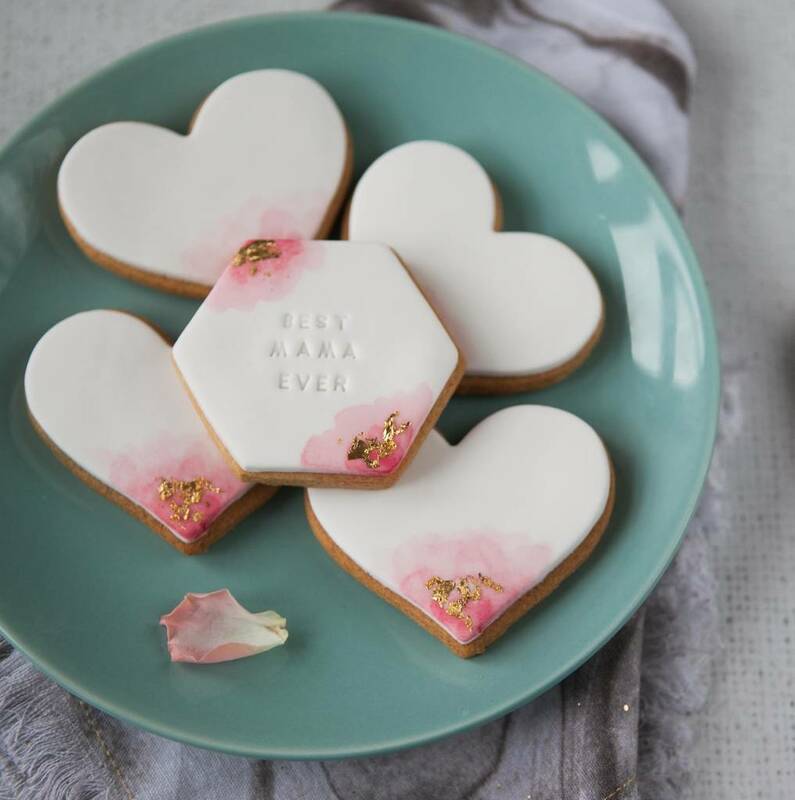 The cutest handmade biscuits, that look like little works of art. Personalise them with words of your choice for a gift they know was carefully made just for them. 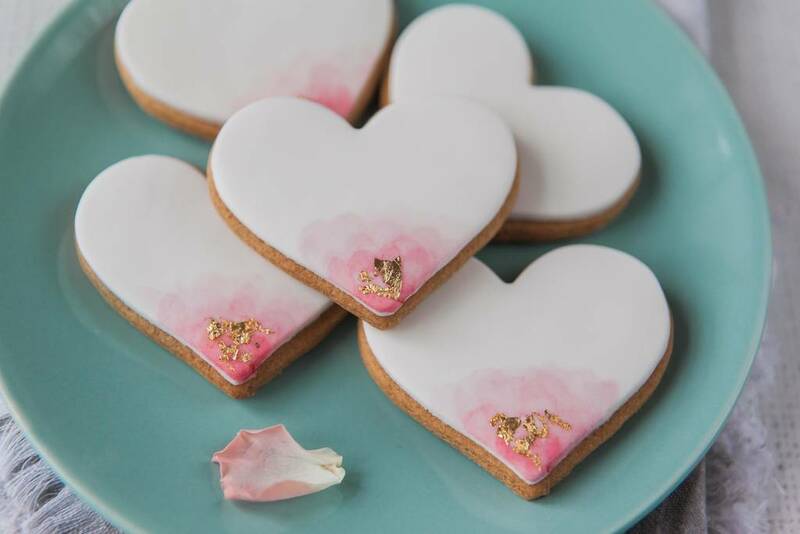 Each biscuit is individually iced, before being hand painted with edible paint and finished with 24 carat gold leaf. 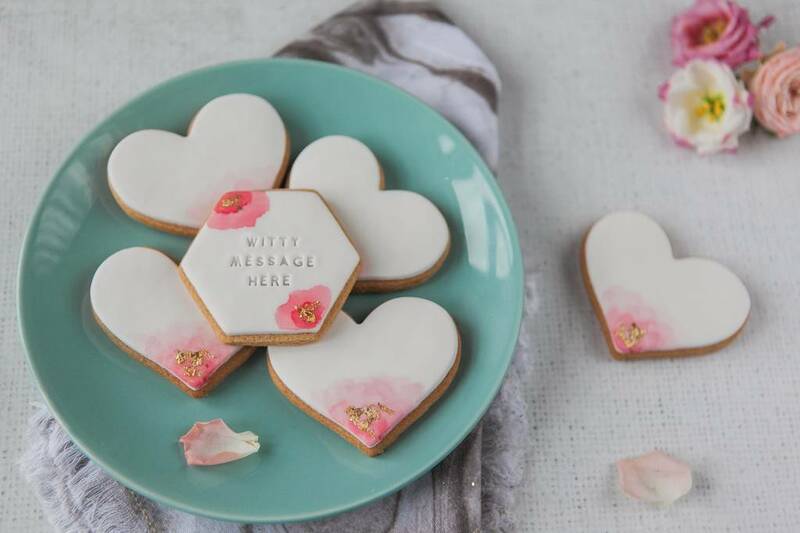 The cookies are packed into a special, beautiful matchbox style gift box, designed to safely transport them though the post..
Includes six delicious vanilla biscuits - a hexagon and five hearts. 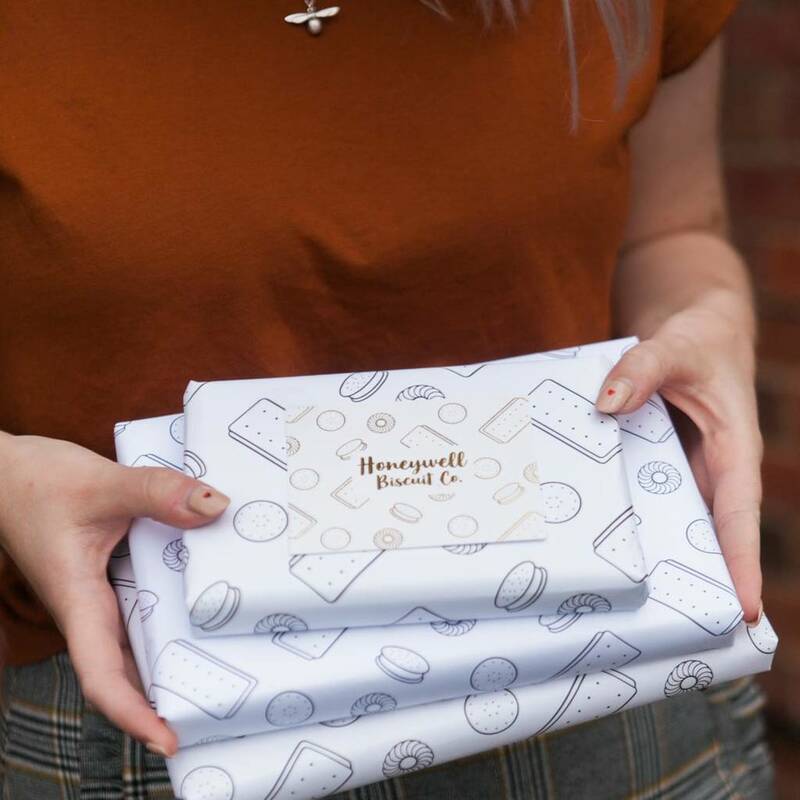 A large gift box includes double the biscuits. The parcel will fit through a standard letterbox. Please note if you order a large gift box it may not fit through your letterbox.